Per CIF regulations, no athlete is required to pay for participation in a high school sponsored sport. That said, the Aquatics program gets minimal funding from the School District. As a result, we encourage you to contribute to the NHHS Boys & Girls Aquatics Booster Club and support your child's experience. Your donations allow us to continue to run a first class program with an unmatched coaching staff. 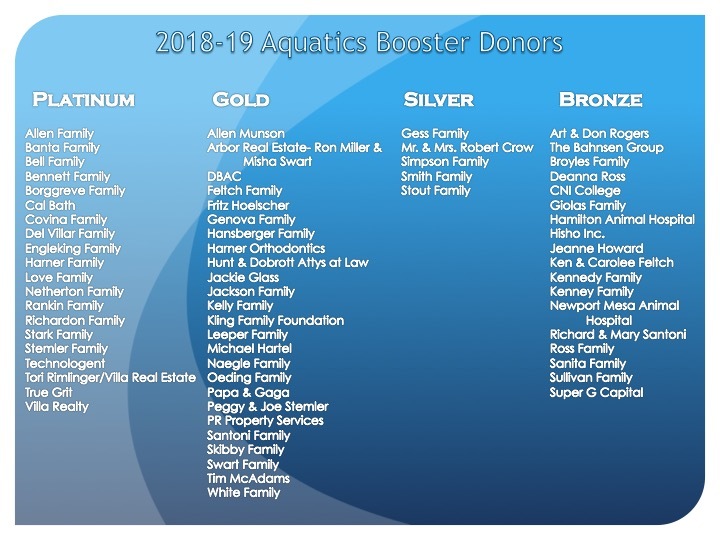 NHHS Aquatics families have a long history of 100% participation, this level of involvement is crucial for the enduring success of our program. NHHS Community Service Hours Form - Thank You For Volunteering!